The Al-Rajef wind farm is expected to be operational by June 2018. Image: courtesy of The European Bank for Reconstruction and Development. The Al-Rajef wind farm will be installed with 41 Gamesa wind turbines, rated at 2MW each. Image: courtesy of Peter Rood. EBRD provided $68m funding for the construction of the Al-Rajef wind facility in October 2016. Image: courtesy of The European Bank for Reconstruction and Development. 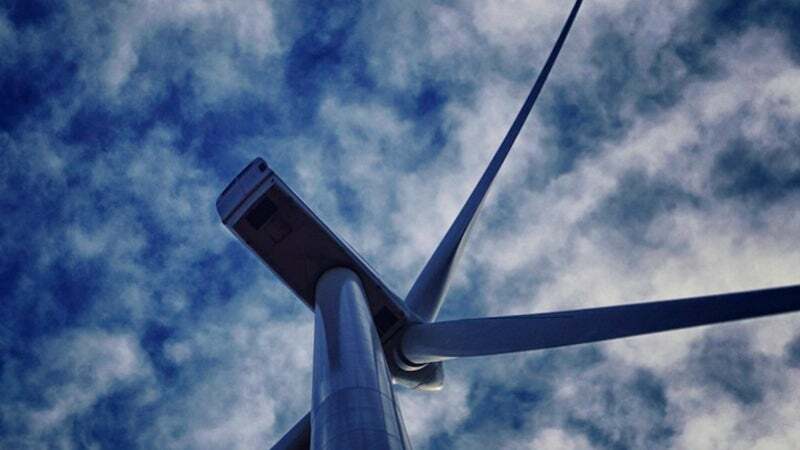 The 82MW Al-Rajef onshore wind project in the Ma’an Governorate in Jordan is being developed by Green Watts Renewable Energy (GWRE) on behalf of the project owner Alcazar Energy, a company based in the UAE. The $184.6m project is the first major wind project being developed under Jordan’s renewable energy programme. Construction is set to commence in 2016 and is expected to be completed in 22 months. First power from the facility is scheduled for June 2018. The project will produce enough electricity for approximately 60,000 local households in Jordan. GWRE submitted its proposal for the development, construction and operation of the Al-Rajef wind power project in 2011. The project was shortlisted by the Ministry of Energy and Mineral Resources (MEMR) of Jordan in April 2012. MEMR and the National Electric Power Company (NEPCO) of Jordan signed an initial agreement with GWRE to develop, build and operate the Al-Rajef project, during the World Economic Forum held in Jordan in May 2015. The project received environmental permit from the Jordanian Ministry of Environment in November 2015. Alcazar Energy acquired 100% ownership in the Al-Rajef plant in June 2016. The wind farm covers approximately 7.5m² of leased private land in the villages of Al-Rajef, Taybeh and Dlaghah. It is situated at an altitude of approximately 1,600m above sea level in the Ma’an Governorate on the Sharah highlands, located south of Amman. The facility will be installed with 41 Gamesa G114-2.0MW independent pitch-controlled wind turbine generators operating at variable speeds. Rated at 2MW, each turbine has a rotor diameter of 114m, a hub height of 80m and a tip height of 137m. The wind turbines will be grouped in four strings, of which two strings will have 11 wind turbine generators each, another will include 10, and the remaining will feature nine turbines. "The $184.6m project is the first major wind project being developed under Jordan’s renewable energy programme." The project is being funded through 75% debt and 25% equity. The European Bank for Reconstruction and Development (EBRD) approved a $68m loan to GWRE in October 2016, for the construction of the wind farm. Proparco, a financial institution based in France and a subsidiary of AFD Group, provided $50m project financing for the project in November 2016. Further, a loan of $19m will be provided by the German development bank DEG. The clean energy generated by the Al-Rajef wind project will be purchased by the Jordanian electric utility NEPCO for a period of 20 years under a power purchase agreement signed between GWRE and NEPCO in October 2015. A 19km-long, 132kV overhead transmission line will connect the wind farm to the national grid. Nordic Power Partners, a joint venture between Danish Climate Investment Fund and European Energy, provided technical and procedural knowhow for the project. Jordanian development firm, ECO Consult, was contracted by GWRE to perform environmental and social impact assessment (ESIA) study for the project. Gamesa secured an engineering, procurement and construction contract from GWRE for the design and development of the project in January 2014. The scope of the contract also includes supply of the equipment including wind turbines. Danish consulting group, COWI, was chosen to perform wind study and identification of site conditions for the project.